艾尼克斯将《勇者斗恶龙》和《勇者斗恶龙II》重制于一张合辑卡带上，并于1993年12月28日在超级任天堂上以《勇者斗恶龙I·II》为名发行。该重制版在日本售出120万份。1998年，史克威尔在日本为超级任天堂Satellaview扩展发行了《BS勇者斗恶龙》。后者包含通过每周时间表下载的四个一小时的剧本。Players were tasked with leveling their character, collecting medals and completing scenario-specific conditions with special events designed to occur under specific conditions in real-time. 在《勇者斗恶龙》发行时，为了弥补硬件限制而使用了许多开发技术，尽管现在的技术下已经无需此举，但当代RPG开发者仍然延用了这些技术。《勇者斗恶龙》引入了许多RPG采用的危难中的少女的故事线，以及新鲜的“救公主”的大逆转套路——直到救出公主才发现这不是游戏的真正目的。游戏也引入了浪漫的元素，在一个对话中玩家需要回答他是否喜爱公主的问题；自此浪漫也成了这类游戏老生常谈的要素。游戏的二维图形风格被大多数RPG采用，直到出现三维图形。游戏的功能元素仍然能在大多RPG中发现，如更好的装备能提升能力，主线任务与小任务相互交织，可成长的魔法系统，使用生命值和经验值以及中世纪主题。评论者称，在《最终幻想》因其关注度而在北美显得更加重要时，《勇者斗恶龙》则为最终幻想奠定了根基。 Dragon Quest is also credited with affecting D&D's leveling system to even out its randomness by giving more bonuses early on and giving players maximum hit points on the first level. ^ Spencer. Dragon Quest Anniversary Collection Brings First Three Games To Wii. [13 May 2011]. ^ スマートフォン用「ドラゴンクエスト」情報アプリ 「ドラゴンクエスト ポータルアプリ」配信決定 スマートフォン版ドラゴンクエストシリーズ第一弾 「ドラゴンクエストⅠ」先着100万ダウンロード無料！. Square Enix. 2013-11-27 [2013-11-28] （日语）. ^ 3.00 3.01 3.02 3.03 3.04 3.05 3.06 3.07 3.08 3.09 3.10 3.11 3.12 3.13 3.14 3.15 3.16 Kalata, Kurt. The History of Dragon Quest. Gamasutra. February 4, 2008 [March 26, 2011]. ^ 4.0 4.1 4.2 4.3 4.4 4.5 4.6 4.7 Johnson, Bill. Dragon Quest – Review. RPGamer. [March 26, 2011]. （原始内容存档于2012-10-06）. ^ 5.0 5.1 5.2 5.3 5.4 5.5 Dragon Warrior: Instruction Booklet. Redmond, WA: Nintendo of America. 1989: 5–6. NES-DQ-USA. ^ Welcome to the Realm of "Dragon Warrior". Dragon Warrior: Instruction Booklet. Redmond, WA: Nintendo of America. 1989: 7–8. NES-DQ-USA. ^ 8.0 8.1 Dragon Warrior I & II Official Strategy Guide. New York, NY: Prima Publishing. 2000: 6, 105. ISBN 978-0-7615-3157-9. ^ 9.0 9.1 9.2 9.3 Dragon Quest: Sentinel of the Starry Skies. Iwata Asks. Square Enix. The History of Dragon Quest. [December 5, 2010]. （原始内容存档于2010-11-21）. ^ 11.0 11.1 How to Start Off on the Right Foot (What you must do at the beginning of the game). Dragon Warrior: Instruction Booklet. Redmond, WA: Nintendo of America. 1989: 20–21, 29–32. NES-DQ-USA. ^ 12.0 12.1 12.2 12.3 12.4 12.5 12.6 Nix, Mark. Dragon Warrior I & II Review. IGN. October 4, 2000 [October 6, 2009]. ^ Dragon Quest and the Art of Efficient Exploration. 1UP.com. [September 1, 2011]. ^ As your level rises, travel further afield. Dragon Warrior Explorer's Handbook. Redmond, WA: Nintendo. 1989: 27. ^ Getting to know your terrain. Dragon Warrior Explorer's Handbook. Redmond, WA: Nintendo. 1989: 18–19. ^ 16.0 16.1 Entering Commands during Fighting Mode/More About Your Character. Dragon Warrior: Instruction Booklet. Redmond, WA: Nintendo of America. 1989: 13–14. NES-DQ-USA. ^ Dragon Warrior I & II Official Strategy Guide. New York, NY: Prima Publishing. 2000: 3, 5. ISBN 978-0-7615-3157-9. ^ Kalata, Kurt. The History of Dragon Quest. Features. Gamasutra. [February 22, 2011]. ^ Visit the King And Have Your Deeds Recorded on the Imperial Scrolls of Honor (to save your game). Dragon Warrior: Instruction Booklet. Redmond, WA: Nintendo of America. 1989: 28. NES-DQ-USA. ^ How to use the Controller and Displays. Dragon Warrior: Instruction Booklet. Redmond, WA: Nintendo of America. 1989: 9–12. NES-DQ-USA. ^ Fukushima, Yasuhiro. Unveiled Secrets of Dragon Warrior II. Redmond, WA: Enix. 1990: 3. ^ Shoemaker, Brad. Dragon Warrior III Review. GameSpot. August 1, 2001 [February 12, 2011]. ^ 25.0 25.1 25.2 25.3 25.4 25.5 25.6 25.7 Dragon Warrior – The Saga. Dragon Warrior Explorer's Handbook. : 58–60. ^ Otsuka, Tsutomu. Orimo, Ani; Yazawa, Tomy, 编. Dragon Warrior: Strategy Guide. Terado, Katsuya; Imai, Shuji. illustrators. Redmond, WA: Nintendo of America. 1989: 4. OCLC 30018721. ^ Tantegel Castle – Before You Leave the Castle. Dragon Warrior Explorer's Handbook. Redmond, WA: Nintendo of America. 1989: 7. NES-DQA-USA. ^ Dragon Warrior I & II Official Strategy Guide. New York, NY: Prima Publishing. 2000: 30. ISBN 978-0-7615-3157-9. ^ Dragon Warrior I & II Official Strategy Guide. New York, NY: Prima Publishing. 2000: 6. ISBN 978-0-7615-3157-9. ^ The Story of Dragon Warrior. Dragon Warrior II: Instruction Booklet. Redmond, WA: Enix. 1990: 5. NES-D2-USA. ^ 32.0 32.1 32.2 32.3 Otsuka, Tsutomu. Orimo, Ani; Yazawa, Tomy, 编. Dragon Warrior: Strategy Guide. Terado, Katsuya; Imai, Shuji. illustrators. Redmond, WA: Nintendo of America. 1989: 5. OCLC 30018721. ^ Dragon Warrior I & II Official Strategy Guide. New York, NY: Prima Publishing. 2000: 5. ISBN 978-0-7615-3157-9. ^ 35.0 35.1 35.2 35.3 Gifford, Kevin. 20. Dragon Warrior: Though Art a Hero. The Essential 50 Archives: The Most Important Games Ever Made. 1UP.com. [March 26, 2011]. ^ 36.0 36.1 Ramos, Cassandra. Dragon Quest Collection to Come With Bonus Dragon Quest X Video. RPGamer. June 30, 2011 [July 14, 2011]. （原始内容存档于2011-07-04）. ^ Dragon Quest (PC98). GameSpot. [July 30, 2011]. ^ Dragon Quest for Mobile Phones. GameSpot. 2004 [October 14, 2007]. ^ 40.00 40.01 40.02 40.03 40.04 40.05 40.06 40.07 40.08 40.09 40.10 40.11 40.12 40.13 40.14 40.15 40.16 40.17 40.18 Kohler, Chris. 4 – Quests and Fantasies: The Japanese RPG. Power-Up: How Japanese Video Games Gave the World an Extra Life. Indianapolis, IN: BradyGames. 2004: 84–89. ISBN 978-0-7440-0424-3. ^ 41.0 41.1 Gotemba, Goro. Japan on the Upswing: Why the Bubble Burst and Japan's Economic Renewal. Algora. 2006: 201. ISBN 0-87586-462-7. ^ 42.0 42.1 42.2 42.3 42.4 42.5 42.6 42.7 East and West, Warrior and Quest: A Dragon Quest Retrospective. 1UP.com. [July 5, 2011]. ^ 44.0 44.1 Johnston, Chris; Ricciardi, John; Ohbuchi, Yotaka. Role-Playing 101: Dragon Warrior. Electronic Gaming Monthly (Lombard, IL: Sendai Publications). December 1, 2001: 48–51. ISSN 1058-918X. OCLC 23857173. ^ 46.0 46.1 Harris, John. Game Design Essentials: 20 Open World Games. Gamasutra: 8. September 26, 2007 [January 31, 2011]. ^ Top 100 Game Creators of All Time – 74. Akira Toriyama. IGN. [July 7, 2011]. ^ 48.0 48.1 Oxford, Nadia. Getting to Know Dragon Warrior Again (and Again). 1up. May 26, 2010 [July 7, 2011]. ^ 49.0 49.1 Gifford, Kevin. Dragon Quest Composer Reflects on 24 Years of Games: Kouichi Sugiyama on Japan's most recognized game music.. 1UP.com. February 24, 2010 [April 18, 2011]. ^ 50.0 50.1 50.2 50.3 The GameSpy Hall of Fame: Dragon Warrior. GameSpy: 1. [October 9, 2009]. ^ Sneak Peeks – Dragon Warrior. Nintendo Fun Club News. Winter 1988, (4): 14. ^ 53.0 53.1 53.2 53.3 53.4 53.5 Kohler, Chris. 8 – Lost in Translation: This Game are Sick. Power-Up: How Japanese Video Games Gave the World an Extra Life. Indianapolis, IN: BradyGames. 2004: 222–223. ISBN 978-0-7440-0424-3. ^ 社長が訊く『ドラゴンクエストIX 星空の守り人』 [The president interviews the "Dragon Quest IX team"]. Nintendo. [September 28, 2011]. ^ 55.0 55.1 Kat Bailey, Justin Haywald, Ray Barnholt and Tim Rogers. Dragon Quest 25th Anniversary Edition (mp3). GamePro. 2011-05-25 [2013-02-05]. （原始内容存档于2011-12-05）. ^ Kauz, Andrew. The rubbing of breasts on faces in Dragon Quest IX. Destructoid. August 21, 2010 [July 14, 2011]. ^ 57.0 57.1 Oxford, Nadia. The Art of Dragon Quest. GamePro. 2011-05-25 [2011-08-03]. （原始内容存档于2011-11-30）. ^ Quartermann. Gaming Gossip. Electronic Gaming Monthly (Lombard, IL: Sendai Publications). June 1989, (2): 26. ISSN 1058-918X. OCLC 23857173. ^ 61.0 61.1 Dragon Warrior Explorer's Handbook. Redmond, WA: Nintendo of America. 1989. NES-DQA-USA. ^ 62.0 62.1 62.2 Mackey, Bob. Smart Bombs: Celebrating Gaming's Most Beloved Flops. 1UP.com: 2. February 5, 2007 [July 11, 2011]. ^ 50 Issues of Nintendo Power: A View from Inside Out. Nintendo Power (Redmond, WA: Tokuma Shoten). July 1993, (50): 39. ISSN 1041-9551. OCLC 18893582. ^ 64.0 64.1 Hitmitsu, Suppai. Dragon Quest V Breaks Record. IGN. April 8, 2004 [July 24, 2011]. ^ BS Dragon Quest. GameSpot. [July 24, 2011]. ^ 66.0 66.1 Hayashi Mura Wataru. 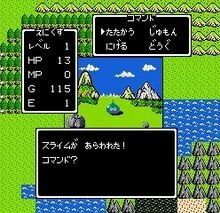 ＢＳドラゴンクエスト リアルタイムを考慮した巧みな演出を [BS Dragon Quest: Evaluating the Skillful Real-time Event Production]. Micro Group. [October 25, 2011]. （原始内容存档于2006-08-27） （日语）. ^ International Outlook. Electronic Gaming Monthly (Lombard, IL: Sendai Publications). December 2001, (149): 51. ISSN 1058-918X. OCLC 23857173. ^ Provo, Frank. Dragon Warrior I & II Review. GameSpot. September 29, 2000 [August 13, 2011]. ^ ドラゴンクエスト列伝 ロトの紋章 完全版 [Full version of Dragon Quest Saga: Emblem of Roto]. Square Enix. [November 9, 2009] （日语）. ^ ロトの紋章―ドラゴンクエスト列伝 (21) (ガンガンコミックス) (コミック) [Dragon Quest Saga: Roto's Emblem (21) (Young Gangan) (Comic)]. Amazon （日语）. ^ Japan's Sony PSP Manga Distribution Service Detailed. News. Anime News Network. September 24, 2009 [November 9, 2009]. ^ ドラゴンクエスト列伝・ロトの紋章 [VHS] [Dragon Quest Saga: Emblem of Roto [VHS]]. Amazon. [November 9, 2009] （日语）. ^ Japanese Comic Ranking, October 26 – November 1. News. Anime News Network. November 4, 2009 [November 9, 2009]. ^ 74.0 74.1 ドラゴンクエスト列伝 ロトの紋章 ～紋章を継ぐ者達へ～ [Dragon Quest Retsuden: Roto no Monshō – To the Children Who Inherit the Emblem]. Square Enix. [November 9, 2009] （日语）. ^ Emblem of Roto. The Dragon Quest Dragon Warrior Shrine. [April 10, 2011]. （原始内容存档于2010-02-11）. ^ 76.0 76.1 76.2 Gann, Patrick. Symphonic Suite Dragon Quest I. RPGFan. May 15, 2008 [December 1, 2009]. ^ Gann, Patrick. CD Theater Dragon Quest I. RPGFan. September 13, 2001 [December 1, 2009]. ^ Dragon Quest I CD Theater. Square Enix Music Online. [April 10, 2011]. ^ Gann, Patrick. Super Famicom Edition Symphonic Suite Dragon Quest I. RPGFan. November 18, 2008 [December 1, 2009]. ^ Gifford, Kevin. The Essential 50 Part 20 - Dragon Warrior. 1UP.com. [May 15, 2011]. ^ Gann, Patrick. The "Eight Melodies" Template: How Sugiyama Shaped RPG Soundtracks. RPGFan. [September 4, 2011]. ^ Prievert, Alexander. Super Famicom Edition Symphonic Suite Dragon Quest I. RPGFan. February 7, 2006 [December 1, 2009]. ^ Patrick Gann. Dragon Quest in Concert. RPGfan. 2007 [August 31, 2007]. ^ Gann, Patrick. Suite Dragon Quest I•II. RPGFan. October 27, 2009 [December 1, 2009]. ^ Japan Platinum Game Chart (Games sold over Million Copies). The Magicbox. Enix. [April 18, 2011]. ^ Quartermann. Gaming Gossip. Electronic Gaming Monthly (Lombard, IL: Sendai Publications). September 1989, (3): 28. ISSN 1058-918X. OCLC 23857173. ^ 96.0 96.1 96.2 96.3 15 Most Influential Games. GameSpot. 2005 [September 1, 2009]. （原始内容存档于2009-06-10）. ^ Moriarty, Colin. Top 100 NES Games of all Time. IGN. [October 16, 2009]. （原始内容存档于2009-10-28）. ^ Top 100 Games of all Time: 091-100. IGN. July 29, 2005 [October 27, 2009]. （原始内容存档于2005-08-05）. ^ Top 100 Games of all Time: Dragon Warrior. IGN. December 3, 2007 [October 27, 2009]. （原始内容存档于2010-03-15）. ^ Nintendo Power's Top 200 All-Time Games. Nintendo Power (Redmond, WA: Tokuma Shoten). February 2006, (200): 58–66. ISSN 1041-9551. OCLC 18893582. ^ 101.0 101.1 Calvin, Derek "Roku". Here's a Stick, Go Save the World. RPGamer. [April 14, 2011]. （原始内容存档于2008-11-21）. ^ Knight, Kyle. Dragon Warrior. allgame. [2011-12-04]. ^ 103.0 103.1 103.2 Chi Kong Lui. Dragon Warrior I & II. GameCritics. March 2, 2001 [October 6, 2009]. （原始内容存档于2006-01-01）. ^ The Annual E3 Awards 2005. GameSpy. [October 9, 2009]. ^ Loguidice, Bill; Barton, Matt. 21 – The Legend of Zelda (1986). Vintage Games. Burlington, MA: Focal Press. 2009: 305. ISBN 978-0-240-81146-8. ^ 週刊ファミ通クロスレビュープラチナ殿堂入りソフト一覧 [Weekly Famitsu Cross Review Platinum Software Hall of Fame List]. Geimen. No 294. [April 20, 2011]. （原始内容存档于2011-08-14） （日语）. ^ Nix, Marc. Dragon Warrior I & II Return to the days of yore with Enix's Game Boy Color RPG revival. IGN. October 4, 2000 [April 10, 2008]. ^ 108.0 108.1 Dragon Warrior I & II. GameRankings. 2000 [January 31, 2011]. ^ Provo, Frank. 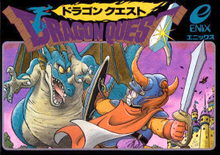 Dragon Warrior I & II for Game Boy Color Review. GameSpot. September 29, 2000 [April 10, 2008]. ^ RPGamer's Awards 2000: Game Boy Color RPG of the Year. RPGamer. 2000 [April 10, 2008]. （原始内容存档于2008-05-14）. ^ February 2, 2004 – February 4, 2004 (PDF). Square Enix. [December 13, 2008]. ^ Sellers, Peter. Dragon Warrior III. IGN. July 20, 2001 [July 22, 2011]. ^ Juan2Darien. Dragon Quest I Symphonic Suite. Square Enix Music Online. [February 13, 2011]. ^ Japanese Comic Ranking, June 27-July 3. Amine News Network. 2011-07-06 [2012-11-24] （英语）. ^ Japanese Comic Ranking, June 25-July 1. Amine News Network. 2012-07-04 [2012-11-24] （英语）. ^ 116.0 116.1 116.2 The GameSpy Hall of Fame: Dragon Warrior. GameSpy: 2. [October 9, 2009]. ^ 117.0 117.1 117.2 Reeves, Ben. A Warrior’s Quest: A Retrospective of Square-Enix’s Classic RPG Series. Game Informer. February 14, 2011 [September 2, 2011]. ^ Andrew Vestal. Other Game Boy RPGs. GameSpot. November 2, 1998 [November 18, 2011]. （原始内容存档于2011-07-11）. ^ 119.0 119.1 Bailey, Kat. The Uncanny Valley of Love: The challenges and rewards of crafting a video game romance. 1UP.com. February 2010 [September 12, 2011]. ^ Vestal, Andrew. The History of Console RPGs – Dragon Quest. GameSpot. November 2, 1998 [July 11, 2011]. （原始内容存档于2011-05-06）. ^ Horii, Yuji. 25 Years of the NES. Nintendo Power (South San Francisco, CA: Future US). November 2010, (260): 50. ISSN 1041-9551. ^ 【CEDEC 2009】『ドラクエ』は藤子さんになれたらいい――堀井氏が基調講演 [[CEDEC 2009] Dragon QuestFuji's Good Time——Horii Keynote]. Famitsu. September 1, 2009 [February 14, 2011] （日语）. ^ Feature: Hardware – The Family Computer. Retro Gamer (Bournemouth: Imagine Publishing). May 2005, (16): 33. ISSN 1742-3155. OCLC 489477015. ^ Clone Warriors: RPGs Inspired by Dragon Quest. The 25th Anniversary of Dragon Quest. 1up. [September 1, 2011]. ^ The Best ROM Hacks. Retro Gamer (Bournemouth: Imagine Publishing). February 2005, (13): 72. ISSN 1742-3155. OCLC 489477015. ^ Sonntag, Lawrence. The Descendants of Erdrick Rock the Gaming Music Scene. Inside Gaming Daily. October 14, 2010 [March 11, 2012]. ^ Robertson, Adi. Google Maps coming soon to the NES. The Verge. March 31, 2012 [March 31, 2012]. ^ Tony Ponce. Google Maps: Dragon Quest edition!. destructoid.com. 2012-03-31 [2013-02-05].